The Camp was constructed purposely to be occupied by the Headquarters of the Leyte Philippine Constabulary/Integrated National Police (PC/INP) Command. When the Cornerstone was laid by then President Ferdinand E. Marcos as Commander-in-Chief of the Armed Forces of the Philippines on July 2, 1974, it was named “Camp Daniel Z. Romualdez” in honor of the late Congressman. Later on, the camp was renamed “Camp September 21st Movement” in commemoration of the Proclamation of Martial Law in the country and the birth of the New Society pursuant to General Orders Number 385 of the Department of National Defense, General Headquarters, AFP dated June 7, 1977. The actual construction of the camp was realized when His Excellency, President Ferdinand E. Marcos issued a Letter of Instruction Number 375 dated February 27, 1974. The construction was done during the incumbency of Honorable Juan Ponce Enrile, then the Minister of National Defense and Major General Fidel V. Ramos, who was then the Chief, PC/INP. The first occupant of the said camp was Task Force Leyte-Samar (TF LEYSAM) under Brigadier General Alfredo F Basas and some units of the 53rd PC Battalion. On May 8, 1978, under Special Orders Number 85, the Command was turned over to Colonel /Juanito T Caboboy. On July 1, 1978, the Regionalization of the Constabulary Command was implemented. As a result, all provincial commands and task forces comprised the PC/INP Regional Command 8 located at Camp September 21st Movement, PC Hills, Palo, Leyte. The personnel who propelled the newly created PC/INP Headquarters of the Region came from the defunct PC/INP Task Force and other units. Others were from the PC Headquarters headed by Colonel Juanito T. Caboboy, who was then the Regional Commander. On April 16, 1989, Colonel Vicente S Garcia Jr took over as Regional Commander of PC/IN 8. The Headquarters was transferred from Palo, Leyte to Kuta Kankabato, San Jose, Tacloban City on May 7, 1989. In the year 1990, the RHQ returned to Brgy. Campetic, Palo, Leyte. Through the effort of Brigadier General Vicente S Garcia Jr, who made representation in Camp Crame, Quezon City, the camp was renamed to CAMP SECRETARY RUPERTO K KANGLEON pursuant to General Orders No. 75 dated June 14, 1990. In honor of his unselfish service to the country and people who risked his life and limbs for the liberty and security of the region and the populace, Brigadier General Garcia’s efforts did not go in vain. 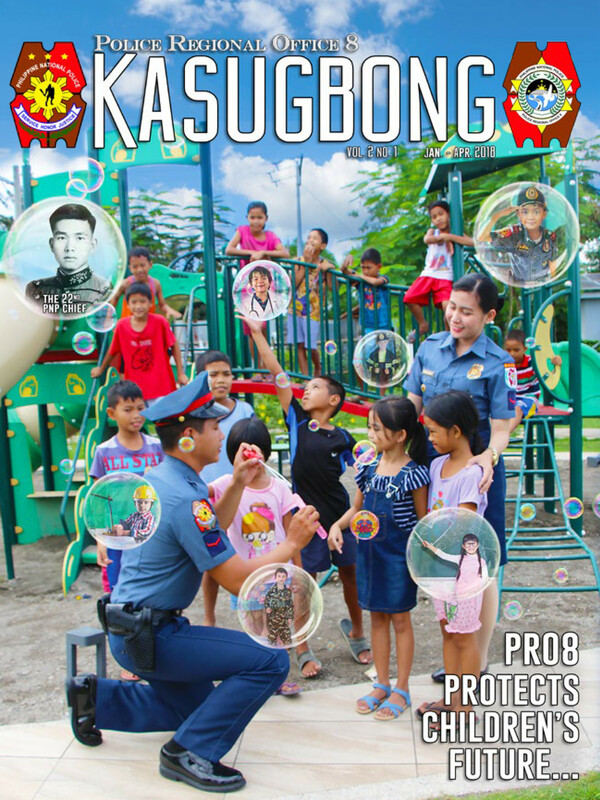 The Police Regional Office 8 boasts its professional, dynamic and highly motivated Police Commissioned Officers, Non- Commissioned Officers and Non Uniformed Personnel, who are encouraged by the community’s support to work towards the attainment of the PNP’s Vision, Mission and Motto: “To serve and protect “ the people of Leyte, Samar and the Biliran provinces in particular, and the whole Filipino people in general.